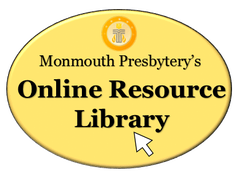 Click here to browse Advent & Christmas Resources from our Online Resource Library! Advent: a time of celebration, joy and love. Celebrate the birth of Jesus Christ with resources for the whole family including: curriculum, Bible studies, devotionals, crafts, worship resources, and more! Below are some online resources from around the web; resources are categorized by age group and topics. If you can't find what you are looking for or need personal assistance, please contact us today! The website, freesacredmusic.com offers easy sheet music - free to download and print - of various sacred classics, including sheet music for advent. Arranged by the a Cappella group, Pentatonix - winners of the 2011 show The Sing Off - this tune is sure to get you in the holiday spirit. To purchase their entire Christmas album, you can visit their itunes page here. A free online radio with a Christmas Music station. Free from the PCUSA website: "This musical setting of the responses in the Great Thanksgiving is especially appropriate for the season of Advent." The popular online radio has various Christmas Stations ranging from classical holiday music to modern Christian pop. Compiled from the website Prayer-and-Prayers these prayers are from varied traditions and authors. Please note: this website has many ads and the occasional pop-up window. From the website Thoughts about God, a sample of simple Christmas prayers. This website has a slide show of 12 very short Christmas prayers inspired by the Bible. A free resource from the PCUSA website. A downloadable PDF of prayers for Advent free from the PCUSA website. Published by PCUSA website, click to download this free resource. "(This Service) is adapted from the Festival of Nine Lessons and Carols that has been celebrated annually at King’s College, Cambridge, for almost a century. The nine Scripture lessons are those traditionally used at the festival, while the carols provided to accompany each passage have been selected from the Presbyterian Hymnal." Download free Advent Litanies for every Sunday in Advent in Spanish. Published by the PCUSA website. A longest night service (or blue Christmas service) free from the PCUSA website. Click to download in PDF form. Free from the PCUSA website: "This service weaves the traditional lessons in a service with other liturgy into a full worship service that includes communion. Sermon notes are also included for a brief homily." Download free scripture and confession resources. Published by the PCUSA website. A free resource published by the PCUSA website. Free from the PCUSA website: This set of readings for lighting the Advent candles is based on the Epistle lessons in the Revised Common Lectionary for Year A." Free from the PCUSA website: "This set of readings for lighting the Advent candles is based on the Gospel lessons in the Revised Common Lectionary for Year A." Free from the PCUSA website: "This set of readings for lighting the Advent candles is based on the Old Testament lessons in the Revised Common Lectionary for Year A." Free from the PCUSA website: "This set of readings for the lighting the Advent candles is based on the Magnificat, or Song of Mary, in Luke 1:46-55. This setting of the text is from the Book of Common Worship (575)." Free from the PCUSA website: "This set of readings for lighting the Advent candles is based on Psalm readings in the Revised Common Lectionary for Year A." Free from the PCUSA website: "This set of readings for lighting of Advent candles is based on texts from the Revised Common Lectionary and is offered for general use." Free from the PCUSA website: "Many churches are used to lighting candles of hope, peace, joy, and love. This is written for that tradition, using scriptures for the day from the Revised Common Lectionary. In places where the tradition is to use families to light the Advent wreath, it is advised that family be defined by Christ—as those groups seeking to follow the Lord—not just as biological family. Even the smallest children, who cannot read yet, can participate by announcing why we’re lighting the various candles." This link will take you to the PCUSA Mission Agency's list of various resource for Advent and Christmas worship services. Two distinct lectionaries are provided on this page: the two-year Daily Lectionary from the Book of Common Worship and the three-year Revised Common Lectionary (RCL) for Sundays and festivals; be sure you select the appropriate one.